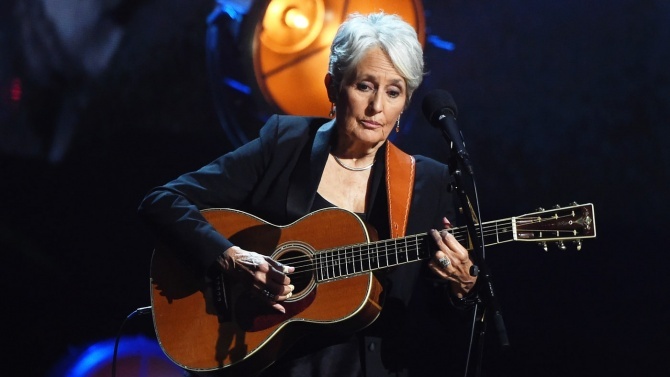 Joan Baez announced a new run of concerts in the U.S. and Canada, part of her final round of “formal touring.” The North American trek, which follows a stretch of U.K. and European dates in 2017, launches September 11th in Ithaca, New York and concludes November 17th in Oakland, California. The live dates will promote Baez’s upcoming studio album, Whistle Down the Wind, out March 2nd via Bobolink/Razor & Tie Records. A digital or CD copy of the record is included with every ticket purchased for the U.S. shows. Tickets go on sale March 2nd, and additional info is available at the venue websites.